If you’re worried about too many vaccines, the toxins in commercial pet food, or the side effects of conventional drugs, and you’re looking for safer options, you’re also in the right place. “Dear Dr. Jones,Thank you very much for your wonderful, informative book. I have used the Chinese herbal formulation for recurrent urinary tract infections and finally have my dog’s urinary infections stopped!! I would rate this ebook at 5 PAWS!!! “I love your book. 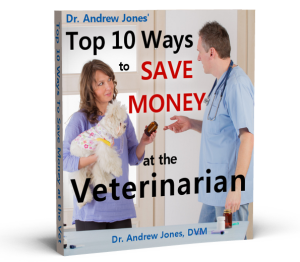 I having been waiting for a Vet like yourself who uses a natural healing and common sense approach to taking care of my animals. This also allows me to be empowered and involved in their care.